The UVA Center for Politics will unveil a collection of previously unreleased Kennedy photos at a public event on Wednesday, March 1, from 6:30 p.m. to 8:30 p.m. at Minor Hall 125 on the Grounds of the University of Virginia. The exhibition is part of the Center’s JFK100 series marking President John F. Kennedy’s 100th birthday. The presentation will include a discussion with Center for Politics Director Larry J. Sabato, Kennedy historian and journalist John T. Shaw, and Lana Sherrard, the donor of the photos. In addition to the photos, the event will also feature memorabilia from the 1960 Democratic National Convention and White House correspondence during JFK’s administration, both of which were recently donated to the Center for Politics. The event is free and open to the public with advanced registration at centerforpolitics.org/jfkphotos.html. Members of the media are also welcome to attend; for more information, contact the media staffers listed above. The final dates and participants will be announced ahead of each event. The Center is partnering with PBS to produce a national television documentary featuring a selection of the unreleased photos and new stories about the life and legacy of JFK. The new documentary will serve as a sequel to the Center’s 2013 release, The Kennedy Half Century, which won an Emmy Award for Best Historical Documentary. The Center also is partnering with Coursera and iTunes U to produce a series of new lessons for its Massive Open Online Course entitled The Kennedy Half Century and taught by Center for Politics Director Larry J. Sabato, which to date has enrolled nearly 200,000 students from around the world. 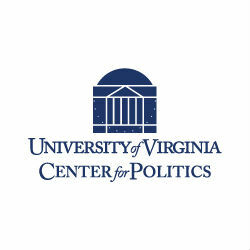 Prof. Sabato also is teaching a special on-Grounds seminar in the Rotunda for University students focused on Kennedy’s life and legacy, and his unique connections to the University of Virginia. Confirmed guest speakers will include: Buell Frazier of Dallas, who drove Lee Harvey Oswald to work on the morning of the assassination; Sid Davis, who rode in the Dallas motorcade and was a pool reporter on Air Force One when Lyndon Johnson took the oath of office; Michael McShane, who assisted his father, former U.S. Marshal James McShane, with security during JFK’s 1960 campaign; and Edward Nixon, brother of former President Richard Nixon.